Explore the cultural highlights of the Kathmandu Valley before catching a scenic flight to the beautiful lakeside city of Pokhara. 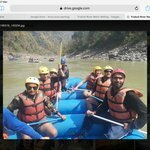 This trip combines a mixture of ancient history, great day activities for the more adventurous, and the chance to enjoy the more peaceful moments Nepal has to offer. 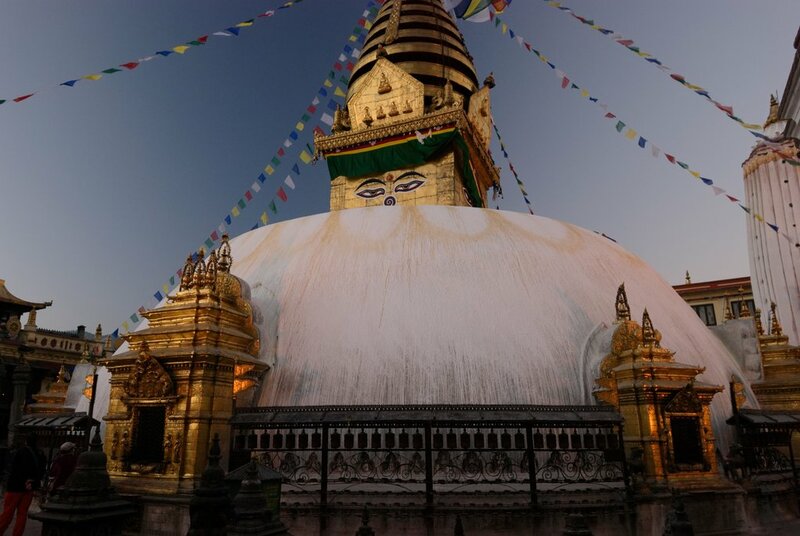 After settling into your hotel in Kathmandu, head over to Swayambhunath, also known as Monkey Temple. This Buddhist stupa is located high on a hill two kilometres west of Thamel—the tourist district in which most tourists stay—and offers great views across the city. It is a particularly holy place for Nepal’s Tantric Buddhists, and it is believed that prayers said here are thirteen billion times more powerful than prayers said elsewhere! Today, experience more of the Kathmandu Valley’s cultural treasures. In the morning, visit the Kathmandu Durbar Square, a twenty-minute walk south of Thamel. This public space houses an eclectic mix of architectural styles, from sixteenth-century pagoda temples to early twentieth-century neo-classical Gadi Durbar Palace. In the afternoon, head out to Bhaktapur, sixteen kilometers east of central Kathmandu. Bhaktapur is a traditionally Newari city (the Newars are a major ethnic group of the Kathmandu Valley) and is an open-air museum of Newari crafts. You can see terracotta pots drying in large sunny courtyards and the exquisite stone and wood carvings of the temples. Enjoy dinner in Bhaktapur as the sun sets and turns the red bricks of the city a golden hue. Try some of Bhaktapur’s famous juju dau, or ‘king curd’, a thick creamy yogurt served in clay pots. The thirty-minute flight to Pokhara offers spectacular Himalayan views (try to sit on the right-hand side of the plane!). After arrival in Pokhara, enjoy exploring the Lakeside area of this relaxed city. You can rent a paddle boat (with someone to paddle for you) or a kayak to play on the serene waters of Phewa Lake. On one side is the distinctive Macchapucchre (fishtail) mountain and on the other the green, wooded hills around the lake. Pokhara offers some of the finest international cuisines in Nepal and great happy-hour cocktail specials at the bars overlooking Phewa Lake. Today you can explore a little farther afield. Drive or hike (about one hour) up to the Shanti Stupa (also known as the World Peace Pagoda). Built by a Japanese Buddhist organization in 1973, on a good day you can enjoy amazing views of the Annapurna Himalaya and down to Pokhara and Phewa Lake. If you feel like something a bit more adventurous, Pokhara is the perfect place to try paragliding. It is often rated as one of the best tandem paragliding spots in the world, thanks to the stable thermals, convenient take-off, and landing points, and of course the incredible views over lakes, villages, hills and extremely high mountains. Standard flights last thirty minutes. If paragliding is not your thing, there are a number of short hikes you can do in and around Pokhara instead, such as to the lookout at Sarangkot. On today’s flight back to Kathmandu, try to get a seat on the left-hand side of the plane for more mountain views. After arriving back in Kathmandu, head to the fair-trade handicrafts, clothing and homeware shops along Pulchowk Road in Patan for some souvenir shopping. Here you can pick up high-quality items such as handmade paper, pottery, Tibetan-style jewelry and pashmina wool products.